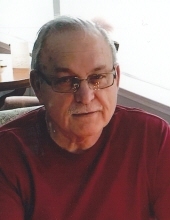 Jerome Francis Adamski, age 75 of Clinton Twp., passed away on April 11, 2019 surrounded by the love of his family. Jerome was born on July 1, 1943 to Jane and Joseph Adamski in Detroit, Michigan. As a young man, Jerome proudly joined the United States Army. In the Army, Jerome earned his National Defense Service Medal, Parachutist Badge, and Expert Badge. He later went on to meet the love of his life, Pat Radkewich. They soon married, and raised three children; Gina, Mark, and Audra. After the army, Jerome worked at Daimler Chrysler, in 2006 where he retired after 32 years of dedicated service. In Jerome’s free time, he loved to root on the Tigers and go on hunting trips with his friends and family. However, the most important thing in Jerome’s life was his family and dear grandchildren. Beloved husband of Pat; dear father of Gina (David) Randall, Mark (Aimee) Adamski, Audra (Noah) Felice; beloved brother of the late Jim (Arlene), Marcia (Larry) Banish, and Karen (Gary) Bethune; and proud grandfather of 9 grandchildren. Visitation will be on Wednesday, April 17th from 2-9PM at Lee-Ellena Funeral Home. Military honors at 7PM. Funeral Service on Thursday, April 18 at the funeral home. Instate, or gathering time, 11 AM. Service at 12PM. In lieu of flowers, donations can be made in Jerome’s memory to American Heart Association or the American Diabetes Association. Instate, or gathering time, 11:00 AM. "Email Address" would like to share the life celebration of Jerome Francis Adamski. Click on the "link" to go to share a favorite memory or leave a condolence message for the family.